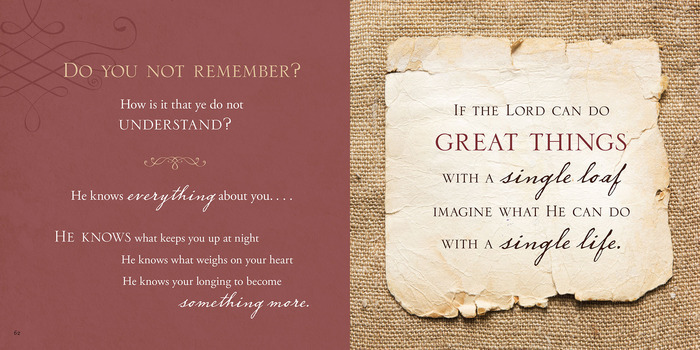 Have you ever wondered if God has greater things in store for you? The Bible is clear that though Peter saw himself as only a fisherman, the Lord saw him as a fisher of men, a leader among men, the one in whose hands He would place the keys of His kingdom. Jesus extended invitations to help Peter grow, change, and discover the life he was meant to live. This full-color gift book is profound in its simplicity as the authors take the reader through the invitations the Lord extended to Peter. 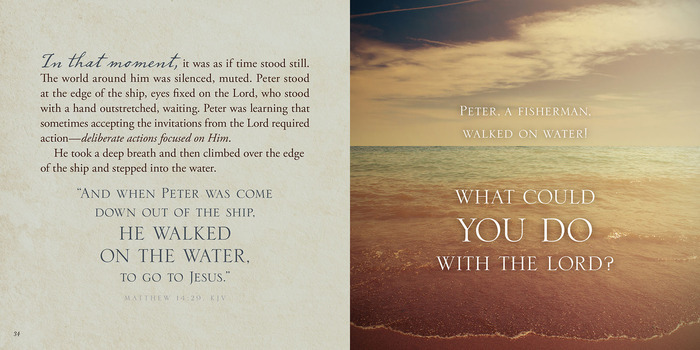 Journey with Peter and the Savior as you begin to understand the potential the Lord sees in you. You may have taken the “ice bucket challenge”, but if you’re brave enough to discover the life you were meant to live, I invite you to accept the Peter Potential Challenge! I suppose you could say that I’ve always believed that God was aware of me. But what I’d forgotten before reading The Peter Potential was how He truly knows everything about me. He knows what keeps me up at night. He knows what’s weighing on my heart. He knows that I want to truly do better and be better. But sometimes, or most times, I simply feel inadequate to believe what He knows about me. 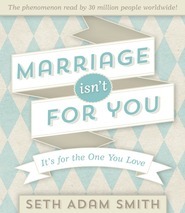 If you’ve ever wondered what the Lord has in mind for you, I strongly encourage you to read this book. Simply, it’s filled with personal invitations from the Lord. These invitations were taken directly from the Bible. They are the very invitations that changed the course of Simon Peter's life. Readers of The Peter Potential are invited to accept the same invitations that the Lord extended Peter. Seven invitations that will challenge you to act and discover the life you were meant to live. The Peter Potential was carefully written and purposely intended to appeal to Christians of all denominations. Combining the text of five different Bible translations, The Peter Potential contains truths that we share and beliefs that are common among us. Peter's story is our story. We each know what it is to doubt. We know how it feels to be pulled out of our comfort zone ––to leave behind nets. We know what it is to approach The Lord soaking wet and windblown. That's what makes Peter's story so easy to relate to. It reminds us that Jesus has the power to change us. To mold us. To make us something more. Just like He did with Peter. And that's the Peter Potential. 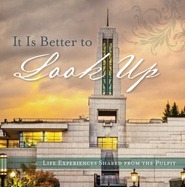 It’s as eye-opening as a cold bucket of ice water over your head, but so much more lasting. One of those Life-Changing Books. I was left in awe, inspired to do reach a heightened potential after reading this book. It was incredible. WONDERFUL. "But this book is not just about Peter..."
"THE LORD SEES GREATNESS IN YOU"
You too have "Peter Potential!" 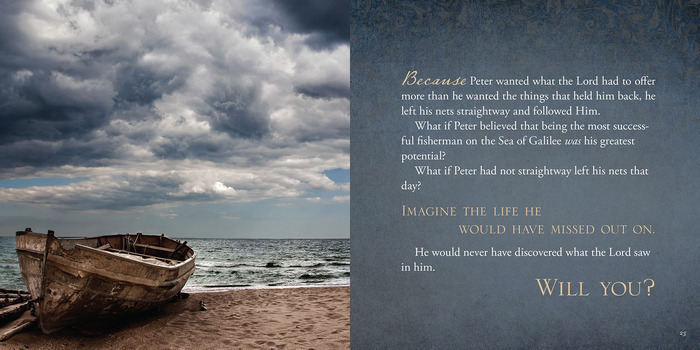 In this book you will learn what made Peter go from being a "simple fisherman-- to being "a fisher of men, a leader among men, the one who held the keys of the kingdom." Peter was given "a simple invitation to THRUST OUT A LITTLE from the land." Does the Lord ask you to THRUST OUT A LITTLE? Peter listened and obeyed...do we? Next Peter was told to "LAUNCH OUT INTO THE DEEP"
Yet Peter listened and obeyed and "the boats were sinking with blessings and the nets were breaking with goodness." Sometimes the Lords wants us "to reach into the depths of our souls." "WHEN WAS THE LAST TIME YOU ACCEPTED AN INVITATION FROM THE LORD?" Do you ever wonder how the Lord sees you? What potential does He see that you haven’t? I certainly have. 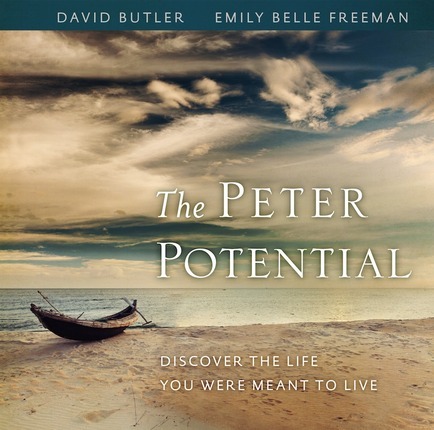 I started reading The Peter Potential when I was in a particularly pondering state of mind, reflecting on my life and my direction and whether I was living up to my potential. Perhaps for this reason, this book really resonated with me. It’s a short volume, barely 100 pages and much of that is images with short passages of beautifully laid out and thoughtfully chosen messages to reinforce the idea that we can be—and should be—so much more than we allow ourselves to be. I’ve read the New Testament more than once and spent a fair amount of time studying it over the years, so I thought I pretty much knew the story of Peter. And I do. To a point. The Peter Potential made me rethink the life of Peter. It’s also inspiring me to rethink my own life. I’m not sure what the answers are yet, but I feel like I need to make some changes that will open me up to that potential this book talks about. Scriptures and scripture stories are interspersed with inspirational quotes. In the beginning of the book, Peter is invited by the Lord to leave his nets and follow Him. And then the story ends with “What is holding you back?” It is a question that I have been pondering on ever since. I don’t have all the answers yet, but I am working on eliminating the entangling nets from my life, one by one, to make sure I am ready to fully follow. Each of the subsequent stories in the book presents a similarly probing question. This is not a book that you would read once and set on the shelf. It is more of a self-assessment, a book to read over and over. Or perhaps it is, as it says on the end, a book to share, to pass along to someone else in need.